Pork Pie Patina Brass snare drum 14 x 6.5 in. The bite of brass with amazing sensitivity. This Brass Patina Pork Pie Snare Drum features all the cut, super low end and amazing sensitivity a brass snare can offer. The patina finish is done by hand exclusively at Pork Pie. 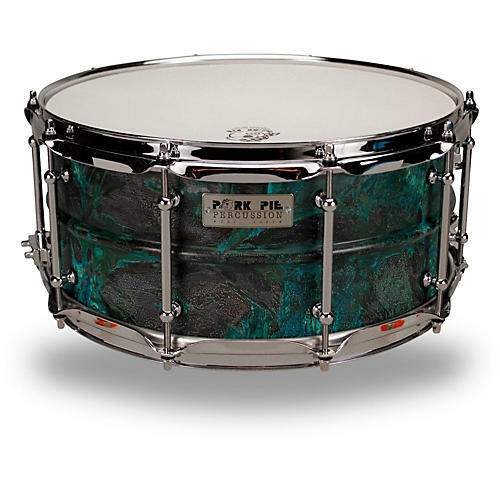 This snare drum also features chrome-plated brass tube lugs, Remo heads and Pork Pie's exclusive snare wires.